3Asist. Dr., Sağlık Bilimleri Üniversitesi Fatih Sultan Mehmet Eğitim ve Araştırma Hastanesi, Göz Hast. İstanbul, Türkiye DR is a leading cause of acquired blindness among young adults and the working-age population in developed countries. DR is the most frequent microvascular complication of diabet, the prevalence of which increases with the duration of diabetes, with an overall rate of up to 30%. Although severe vision loss may occur due to proliferative DR at diabetic patients, the most common cause of visual loss in these patients is diabetic macular edema(DME). FFA is an invasive, costly, and time-consuming technique but is a sensitive method to detect vascular changes in the course of an established DR. 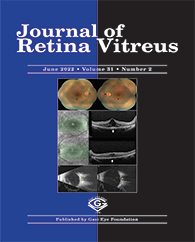 In contrast to retinography or fluorescein angiograms, OCT has become the gold standard for the diagnosis, treatment approach, prognosis, assessment of treatment response of patients with DME. OCT angiography(OCTA) is a new noninvasive imaging technique that employs motion contrast imaging to high-resolution volumetric blood flow information generating images similar to angiographic images in a matter of seconds .